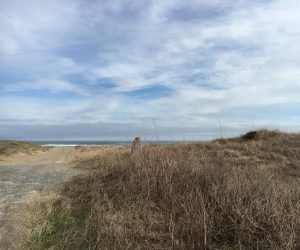 At 4:26 on Friday afternoon, a wildfire was reported at Cape Hatteras National Seashore in Frisco, N.C. The fire was estimated to be more than one acre in size and burning in the back-dune vegetation approximately 1/8 mile north of Ramp 48 between the Inside Road and beachfront. The cause of the fire is unknown and an investigation is underway. No additional details are available at this time. Please contact the National Park Service’s Investigative Services Branch (ISB) or the Dare County Community Crime Line if you have information that could help investigators, or if you may have observed unusual activity in this area.